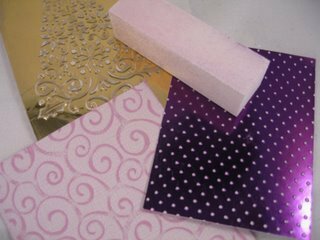 Try embossing folders when you want to add something extra to your creations. 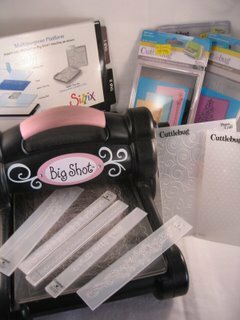 To add that little extra something to your cards then embossing folders are a really good alternative to use. Cut the card you wish to use into a panel that will fit within the folder. Placing the card with the right side up will give you a raised embossed effect. Placing the card with the right side down will give you a de-bossed effect Try both effects as they are just as interesting as each other. An added touch to the raised effect is to rub over it with a sanding block. This will remove the top layer of the card and allow the base card to show through. This is especially good if you have used Special Card such as Mirror Card or Color Core. Another effect can be achieved by picking out parts of the embossed card. 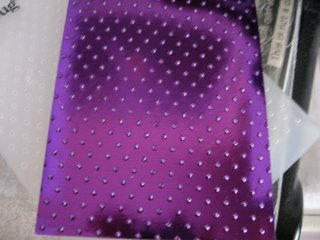 Try adding flat backed pearls or Gemstones. Trim the card with anyembellishments that you have. 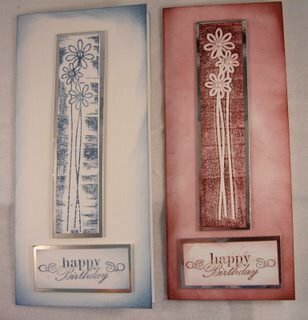 This lovely effect is created by adding ink to one side of the folder, before you insert the card. And depending on which side you add the ink will give a really different outlook to the end result. The panels have then been Matted and Layered onto some silver mirror card. 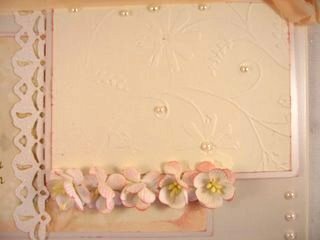 Pearls have been added to the centre of each flower, and the sentiment is a stamp layered onto the same silver card.